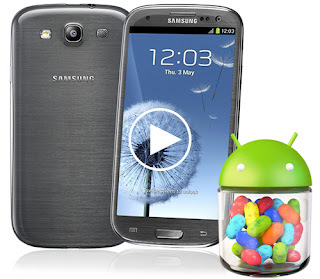 It was a great feeling when I read good news for my mobile on Mashable, “Samsung Delivers Jelly Bean Updates for Galaxy S3”. Article says that Poland is the first country to receive the update. The update will help the machine run faster and smoother. You will get rearranged menu settings, provides two modes Homescreen, the Notification bar has more features, Additional Google Now and the screen Pop-up play. Samsung will continue to introduce the software updates for many other countries at the end of this month. You can use the Kies software on your computer or Over-The-Air protocols on the machine to update. Along with that, Samsung also released a list of Android Jelly Bean to many others, including the Galaxy S II , Galaxy Note , Galaxy S Advance , Galaxy S II LTE , Galaxy Chat , Galaxy Ace 2 , Galaxy Beam , Galaxy Ace Plus , Galaxy Mini 2 , Galaxy S Duos , Galaxy Tab 2 7.0 , Galaxy Tab 7.0 Plus , Galaxy Tab 2 10.1 , Galaxy Note 10.1 and a device named Galaxy Music (not clear what this is, is awaiting confirmation Samsung, perhaps it is a certain line of player Galaxy Player). Same Model S III, above all 15 devices will be distributed to Android 4.1 in stages depending on the local network and you are. However, the company did not give specific update time for each machine.